I posted about Icelandic fish and shark drying and the specialty "Hákarl". 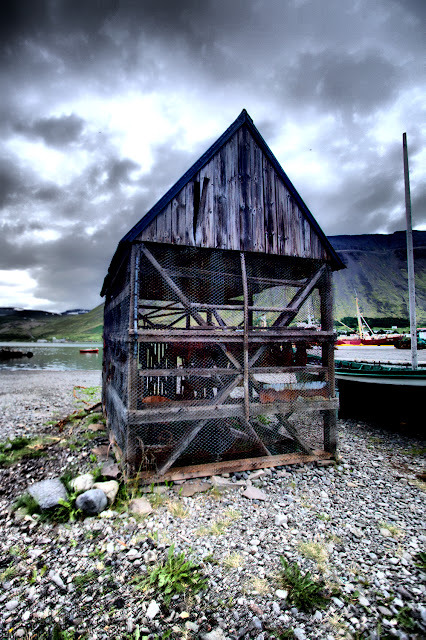 Here is another HDR of the fish drying hut in the harbour of Ísafjördur. The link to my last posting about this is here.